Should mountain bikes be allowed in City of Boulder Open Space in the West TSA? The Community Collaborative Group (CCG) will be discussing this, the issue that has generated the most controversy in the current planning process for use of our community’s Open Space properties to the immediate west of Boulder, Monday evening September 13 starting at 5:30 at the East Boulder Recreation Center, 5660 Sioux Dr. The impetus for allowing limited bike access likely has much to do with how the neighborhoods to the south were built (and the difference in mileage that a hiker or a mountain biker can cover). 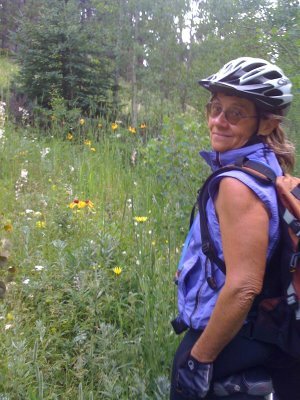 Please understand that whether I’m riding or hiking I’m looking for a bit of solitude, some connection with nature and the joy of being outside in this beautiful piece of Colorado that belongs to all of us. If I am on my bike, I do not want to run anybody down. The pattern of a traditional street grid extends south to Baseline. The area to the south of Baseline has been built out with a street pattern intended to discourage auto traffic, and by default bike traffic, through the neighborhood. In order to negotiate through this part of Boulder, all traffic is funneled onto collector streets such as Table Mesa and Lehigh. These two streets do have bike lanes but their connection to any of the trail network entails riding south out of town on Highway 93 with Marshall Road as an alternate route. From my home, that’s a good 25 to 30 miles of riding with about half on trails–most is not pleasant. What I am hearing from the biking community is a request for a better way to get out of the neighborhood and into the trail system. It’s a fair a request to ask the community to make remedy for a street network that serves the automobile driver much better than either bike riders or pedestrians. We are highly unlikely to use the powers of eminent domain to make connections to trails through private property. We do have ownership in common of our Open Space lands and a provision in the charter to provide for passive recreation. Riding a bicycle is considered passive recreation. Let’s work together to find a suitable trail corridor to the west of our south neighborhoods. Mark McIntyre’s proposal is a good start. 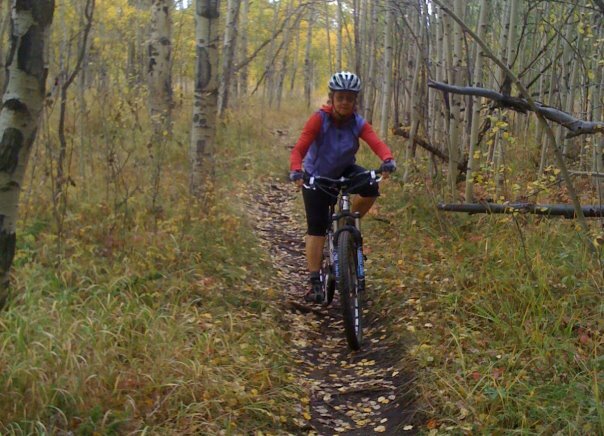 From past experience, I know that the mountain bike community could work with Parks and Open Space to design a sustainable new trail and raise volunteers to build and maintain that new trail. Let’s work together to accommodate a legitimate need, not anticipated at the time of development of our south neighborhoods, for a substantial segment of our community. I totally and completely do not support opening up the West TSA to mountain bike. 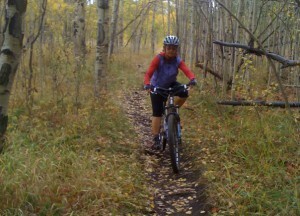 I am a mountain bike rider and 28 year resident of Boulder. There are plenty of other opportunities for mountain bikers. This area would be over used and would not mix with other users. It is my opinion that the “alliance” has taken over the public debate. You appear to have fallen victim to misinformation. As Catherine suggests, what the Boulder MountainBike Alliance is asking for is not unfettered access to the West TSA. We do not want to take away the experience of solitude from people who do not want to interact with bikes (many of us hike too and prefer to hike on trails without bike access). We simply want to be able to recreate on bikes from our home without the use of an automobile. That means getting people onto open space as soon as possible from their homes, and in the case of mountain bikes, disbursing that use quickly to the lesser used parts of open space to the north and south of the city. This should be the overall management objective – because it is good for Boulder citizens (especially families with young children), because it is a completely reasonable way to ensure that mountain bikers can enjoy the open space that their tax dollars support, because it serves a number of sustainability objectives important to the core beliefs of our town, and because it is the right thing to do. It is incredibly disheartening when someone says something like “would not mix with other users.” That sort of argument has been made in so many incidences to excuse all manner of prejudice. The complete dismissal of a concept of shared use, of people being open-minded and getting along in the space we all share makes me wonder, how dark the day? Boulder is supposed to be one of the most intellectual cities in the country and yet so many are so willing to accept de facto segregation. I believe in multi-use trails. I’ve seen them work. I’ve built them with other land stewards who enjoy the land on foot, on horseback and on wheels. The one thing that all those users share is a love of the land. They are not held back from working together by some bass ackwards concept of what mixes and because of it, we have wonderful trails like Picture Rock and Springbrook. And I’m grateful for that.